TAMPA, Fla. – Super Y League has announced that Barcelona United SC is the latest club to join the league ahead of the 2019 season. 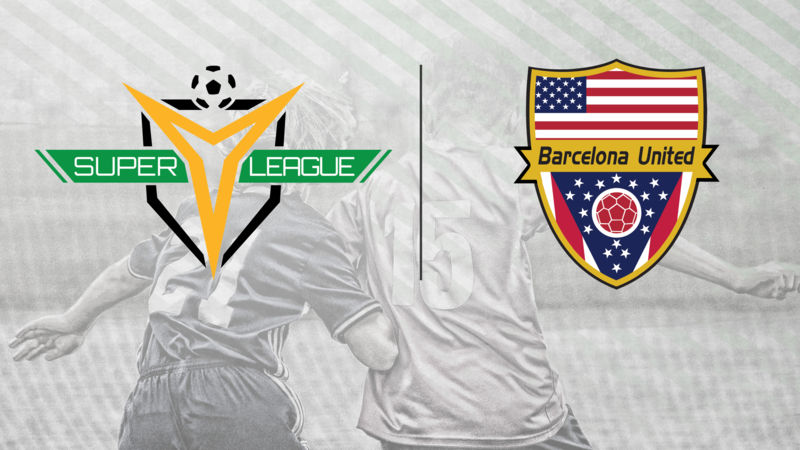 Barcelona United SC will compete in the Midwest Division beginning this summer, as the Ohio-based organization kicks off its inaugural season in Super Y League. The club was founded in 2011 out of Pickerington, Ohio, and has since developed into a full-fledged youth organization that features players under 10 all the way through those entering college. As Barcelona United continues to expand as a club, the Super Y League offers up another chance to provide players with a platform to compete during the summer months. "We are extremely excited about our club's acceptance into the Super Y League,” Barcelona United Director of Boys Coaching Detzi Kruszynski said. “Since our club's formation in 2011 we have worked to set ourselves apart through our dedication to elite player development. With the club's entry, Barcelona United SC becomes the 10th organization to join Super Y League ahead of the 2019 season, with Cedar Stars Academy - Bergen County, Cedar Stars Academy- Hudson Valley, Chicago Rush, CSA Impact United, Jupiter United SC, Massapequa SC, Morris Elite SC, Parsippany SC and Stony Brook SC also set to begin play next year. To stay up-to-date with Barcelona United SC, follow the club on Twitter and www.barcelonaunited.net.